As reported on 16 Nov 2016 by NucNet: World electricity generation from nuclear energy could range from 3,960 TWh to 6,101 TWh by 2040, increasing from around 2,535 TWh in 2014 in a number of different scenarios examined by the International Energy Agency (IEA) in its World Energy Outlook 2016 report released today. The report covers three possible scenarios. The main scenario, the ‘New Policies Scenario’, incorporates existing energy policies as well as an assessment of the results likely to stem from the implementation of pledges submitted for the COP21 Paris climate agreement. The ‘Current Policies Scenario’ includes only those policies firmly enacted as of mid-2016, while the ‘450 Scenario’ sets out an “energy pathway” consistent with the goal of limiting the global increase in temperature to less than two degrees Celsius by limiting the concentration of greenhouse gases in the atmosphere to around 450 parts per million of CO2. Under the 450 Scenario nuclear could be generating 6,101 TWh of the world’s electricity by 2040. That would increase nuclear’s share of the energy mix from 11% in 2014 to 18% in 2040, the report says. This compares to 8,108 TWh for fossil fuels (24%, down from 67% in 2014), 6,891 TWh for hydropower (20%, up from 16% in 2014) and 12,992 for “other renewables” (38%, up from 6% in 2014). The report says the power sector is transformed and almost decarbonised by 2040 in the 450 Scenario, but warns that this would require “a step-change” in the pace of decarbonisation and efficiency improvement. This underlines the importance of the five-year review mechanism, built into the Paris agreement, for countries to increase the ambition of their climate pledges, the report says. “The challenges to achieve the 450 Scenario are immense, requiring a major reallocation of investment capital going to the energy sector,” the report says. In the New Policies Scenario, the expansion and maintenance of the power sector is projected to require $19.2 trillion (€17.9 trillion) investment until 2040, over 40 % of it in transmission and distribution. Some 35% of the investment in power generation serves to replace plant retirements. Between the start of 2015 and late 2016, 19 new nuclear reactors commenced operation, two-thirds of them in China, and construction started on nine new reactors in the same period. 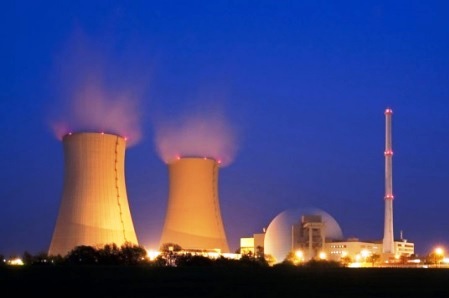 Some 64 GW of new nuclear capacity is under construction, principally in China (one-third), but also in Russia, the United Arab Emirates, the United States, South Korea, the European Union and India. One-sixth of the global nuclear fleet is 40 years old or more, but moves are underway in some jurisdictions – the US, for example – to extend nuclear plant lifetimes to 60 or even 80 years.